Today we express our solidarity with dock workers in Hong Kong. 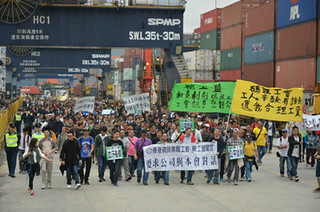 Their employer Hong Kong International Terminals has effectively banned these workers from continuing a courageous strike in order to refuse collective bargaining over unsafe conditions and poverty pay. 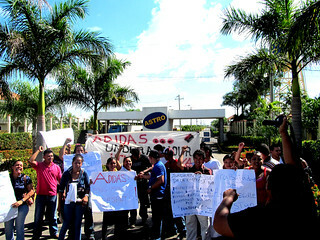 Dock workers form a crucial part of the supply chain of the multinational corporations for whom we produce. You can send your own protest letter to the employers and solidarity letter to workers via the International Transport Workers’ Federation. Below is our letter to their employers.